i set my cruise control whenever i drive on the freeway... except in LA because if you set your cruise control you'd get killed or kill someone else. when you don't set your cruise control in LA, sometimes you go (with the speed of traffic) too fast. like 83 in a 65 too fast. and then what happens? that's right, you get pulled over. 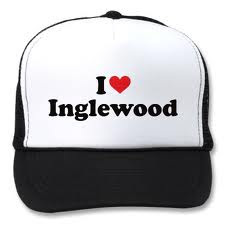 people - avoid inglewood, in general. especially avoid getting pulled over in inglewood. take my word for it. long story short: doing 83, pulled over, cop was nice, gave me a fix-it ticket for my texas plates, i was thankful for softening the ticket blow but sad to part with texas plates, cost was $170 vs $480 plus traffic school, easy fix... right. right above that line up there? ^ read that statement. 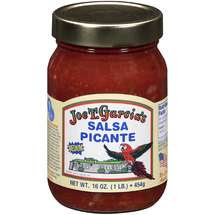 i've been to haiti multiple times, i lived a mile from mexico and have spent a significant amount of time there - those places have really $*##(*$)@# governmental structure. i have been LESS FEARFUL for my life than i was in inglewood. i kid you not. if you do the "what NOT to do" scenario, you know what happens? this is my current situation. please pray that i remember to use my cruise control in LA and when you pray, thank the good Lord that my boyfriend still loves me after all kinds of crazy. thanks. p.s. - there's a reason 2pac raps about inglewood people. i drive... alot. while i drive i do one of 4 things: listen to tunes, talk on the phone, pray or listen to podcasts. this last 4 days i've spent a significant amount of time in the car and i've never been more thankful that Jarred and i respectively have two amazing pastors from the churches we've recently attended who podcast sermons that continue to grow and change us both as individuals and as a couple. mike erre, my pastor for 7 years of my life taught an incredible sermon on marriage that i listened to today and as i heard the way he described that men should treat women in dating and in marriage - i saw the man that is stealing my heart and becoming my best friend. here's where i saw it: mike said, "single people, listen up. you will be married to her in whatever way you dated her. so ladies, does he serve you? do you see a willingness to place your well-being ahead of his own? is he a threat to your purity or a protector of it? does he demand his needs be met?" this picture is what i see in my man. he serves me... he makes sure i'm taken care of, he opens my door, he loves me well and not only me but those he knows are important to me. he goes on to say: "I pray that men, in ever increasing yet ever imperfect ways you would place her well-being ahead of your own and you would begin to die to your entitlements and sacrifice to serve her. and women, in ever increasing yet ever imperfect ways you would respect and love your man, as he is, not as you want him. and ladies, would you respect a man who served you in that way? of course you would. and men, would you serve a woman who respected you in that way? of course you would." people, i have NO PROBLEM respecting this man who has served me so well and sacrificed so much. i am blown away. in fact, i respect him and love him even more because of his willingness to die to his entitlements (a better paying job, cheaper rent, living near family, a bigger house) and sacrifice for me. it makes me want to do ANYTHING I CAN to love him, help him succeed and treat him with respect. it makes me ridiculously proud to call him mine. then mike finishes with this - "men, women need us to delight in them... as they are. and ladies, we need you to respect us and to love us into our future. what happens when people start treating each other this way is that you get a picture of the gospel of Jesus." good gracious i pray that our relationship is even the tiniest picture of the gospel of Jesus and that more and more as we grow as a couple - we show more grace, sacrifice more of ourselves, give more respect and love even deeper so that Jesus radiates through all that we are. this life is beautiful. this man is imperfectly incredible. i am beyond blessed.